Known as an efficiency expert and serial entrepreneur by her family and friends, Roni Lambrecht has always been a forward thinker, spending her time working on projects to make life easier and more organized for everyone she connects with. If there's a way to do something with less time and less money, producing the same quality, Roni will find a way to make it happen. For the majority of her career, Roni has been in the mortgage and real estate industries, running her own successful loan document preparation and closing company since 1996 and becoming a REALTOR® in 2008. Roni's books, Parenting At Your Best, A Parent's Guide for Journaling to Their Child, and A Parent's Journal to Their Child are a tribute to Dalton, with anticipation that the stories and advice they offer will inspire others to excellence in their parenting. 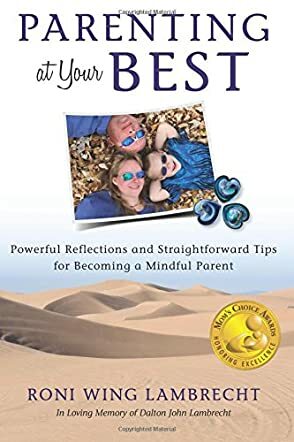 The author handles a relevant topic with mindfulness and simplicity, making it easy for readers to incorporate her suggestions and tips into their lives while handling their children. The stories, footnotes, and journals make the book unique, original, and different from the usual parenting books that one reads. The photographs shared in the book make it personal and help readers feel and understand the author’s words - the loss of her son, Dalton, is palpable throughout the book. There is a thread of melancholy that runs through the book because of the references to their son, Dalton, and his loss. The questions at the end are helpful in understanding the roles of children in our lives and also help to assist parents in becoming more successful in their roles. The book is a must-read for all parents as the suggestions and advice help them in becoming better at parenting.